Savannah Quilt Pattern - Red Crinoline Quilts. - 77" X 102"
Windham Fabrics - Riverbanks C. 1904 - 42602 7 Jeannie Horton. 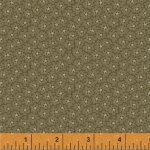 Muted olive Inspired by a "quilt" made in the early 1900's. 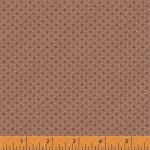 100 percent cotton, 42 - 44 inches wide. Windham Fabrics - Riverbanks C. 1904 - 426037 Jeannie Horton. 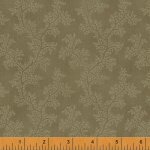 Muted olive Inspired by a "quilt" made in the early 1900's. 100 percent cotton, 42 - 44 inches wide. French General - Josephine - FG JS01G - Quilt Pattern 73" x 85"
Windham Fabrics - Riverbanks C. 1904 - 42597 1 Jeannie Horton. Muted deep red and tan Inspired by a "quilt" made in the early 1900's. 100 percent cotton, 42 - 44 inches wide.